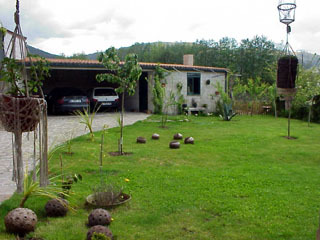 This spacious house is located in the valley of Mahía, beside a river, and a roman bridge from century III, and 9 km from Santiago. 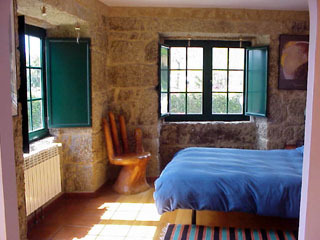 Beside the house runs the Camino to Finisterre, along which many pilgrims can be seen everyday, going through the middle of forests and mountains to the western point of Europe (Finisterre). Beautiful beaches lie just 35 min. by car. 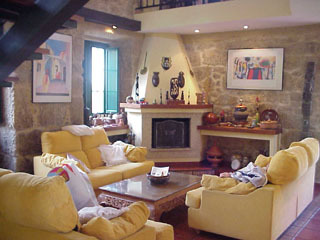 Ground floor: Living room with fireplace, fully fitted kitchen with dinning area, and small bathroom (toilet). First floor: sitting area, large main bedroom (ensuite), laundry room. 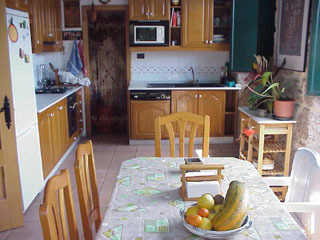 Second floor (Attic): 2 double bedrooms, one bathroom, and study room with sofa bed and PC connected to Internet. 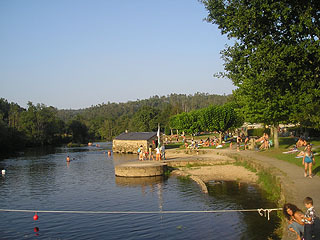 Nearby you have a public river beach, with pool at 4 km. 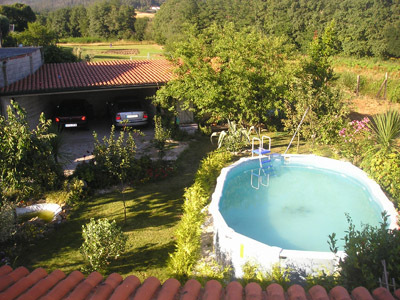 (Tapia); another public pool at 2 km. (Bertamirans), small village with a river, restaurant, recreational place, etc., at 7 km (Pontemaceira), horse camp, hiking routes, etc. 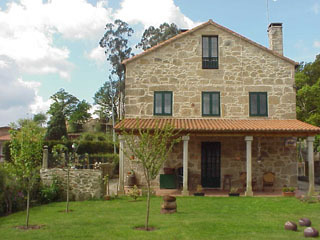 View of the house from the back garden. Back garden & parking facilities. 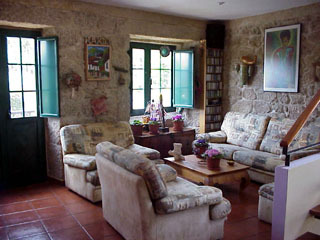 Sitting area in first floor.